While a fan had managed to capture a full low quality video of new “The Hunger Games” TV spot playing on TV in USA, featuring “Safe and Sound” by Taylor Swift feat. The Civil Wars, we finally have this TV spot in full HD courtesy of Lionsgate! ‘The Hunger Games’ will be released in Singapore on 22 March 2012. We had posted behind the scene video and photos for Taylor Swift Feat. The Civil Wars’s “Safe and Sound” music video. iTunes had released a new making of “Safe and Sound” music video online. In this video, Taylor Swift and The Civil Wars chatted about how both of them came together to write “Safe and Sound” for “The Hunger Games” movie soundtrack and how this song can be about any moment in “The Hunger Games” movie. We had just posted about Taylor Swift Feat. The Civil Wars’s “Safe and Sound” music video in full HD and now we have the behind the scenes video and photos of the said music video! Check out the behind the scenes video posted by Taylor Swift’s VEVO on YouTube after the jump. 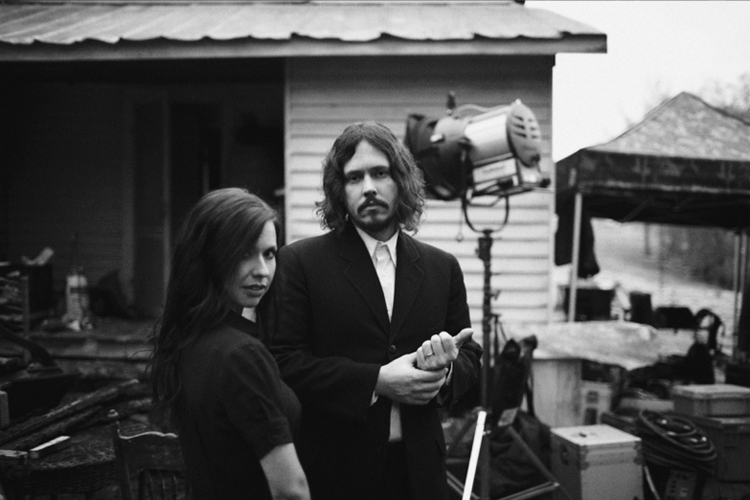 Behind the scene photos of “Safe and Sound” music video below are taken from The Civil Wars Tumblr. “Safe and Sound” is the first track on “The Hunger Games: Songs From District 12 And Beyond” companion album to “The Hunger Games” movie. Sources: Taylor Swift’s VEVO on YouTube and The Civil Wars Tumblr via The Hob. While we had reported the première of Taylor Swift feat. The Civil War’s “Safe and Sound” music video on MTV couple days ago, VEVO has now uploaded the said music video in full HD onto YouTube. Enjoy the music video in full HD after the jump.